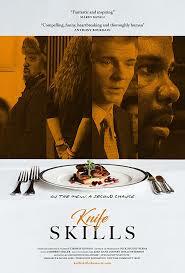 Brief Synopsis – A former convict creates a program for other convicts to be rehabilitated by becoming expert chefs. My Take on it – This is my 4th out of 5 reviews of the nominees in the category for Bets Documentary Short for the Oscars this year. In my opinion, this is actually the strongest and most moving of the 5 chosen films since it allows us into a world where we get to see how rehabilitating former convicts in a unique way could help them find a stable life. The way that they show how the people involved in this program are truly trying to seek a way to rehabilitate themselves is quite moving and we root for them to actually succeed. This film shows quite an unorthodox way to rehabilitation but it has been shown to have a fairly high success rate which is amazing to see. I will be quite happy if this film manages to win the Oscar next week eventhough the odds are not so great. Bottom Line – Great idea that works really well. The strongest story of the 5 nominees in this category IMHO. The way that the people shown here have sought all their lives for a stable environment is shown really well. This is not usually the kind of rehabilitation one would expect, yet it has proven to have a high success rate. Highly Recommended! I thought it was very good as well. The filmmaker was dining with a chef he knew in NYC who brought along another man who told him that he was opening the best french restaurant in the US. When he asked him where – he said “Cleveland. And our staff will all be ex-convicts”. Five seconds later, the man knew what his next documentary would be.I think this is his 5th nomination in this category. He’s won once before.